Why Are Geniuses Destroying Jobs in Uganda? As I rode the Boston Red Line yesterday from the Kendall Square/MIT station I saw the poster above. 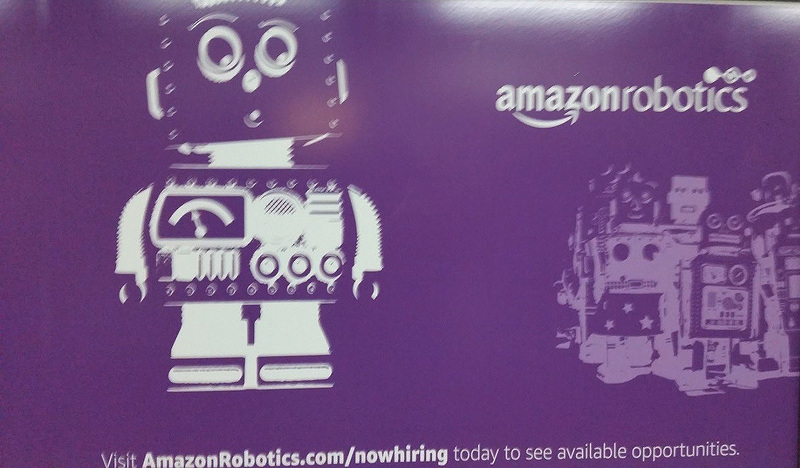 Amazon is recruiting some of the global top talent, MIT engineers, to create robots. That same day I was talking to a development practitioner who argued the biggest and hardest challenge facing Uganda was creating sufficient jobs for its youth bulge—about three quarters of the population is under 30 and 18-30 year olds make up 64 percent of the unemployed. These two come together because the last time I was in Uganda the airport had switched to an all automated pre-paid parking system. The parking lot booth no longer employed anyone to collect payment. This juxtaposition makes my head explode: Why are the world’s scarcest economic resources devoted to economizing one of the world’s most abundant economic resources? The world’s scarcest economic resources are people with entrepreneurial and technical ability that can transform ideas and technology into scaled profitable production. We know entrepreneurial talent is scarce because its returns when successful are astronomical: Bill Gates, Larry Page and Sergey Brin, Mark Zuckerberg, Elon Musk, Jeff Bezos, Jack Ma are each worth tens of billions. And scientists and engineers with top talent—like MIT graduates—are scarce and heavily recruited into high paying jobs. What drives world poverty is that the wage of low-skill labor is low, which suggests that it is abundant relative to demand. 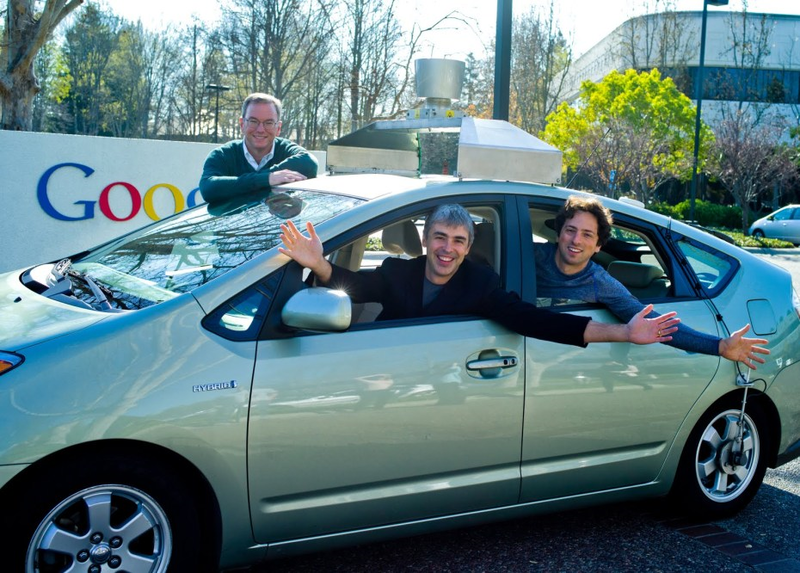 So what are Larry Page and Sergey Brin devoting their extremely scarce time and talents to? Among other things, developing a self-driving car. Elon Musk is working on a self-driving truck. Jeff Bezos wants even more robotics and drones and self-driving vehicles. Why are these geniuses working on destroying jobs? Well, in part just because it is cool and an interesting technical challenge, but also, at least in part because policy based restrictions on labor mobility make low-skill labor—which is globally abundant and cheap—artificially scarce in the US. The International Labor Organization (ILO) had data on the wages of specific occupations around the world. A long distance truck driver in the US in 2007 made $19.67 an hour or about $40,000 a year. In the 20 lowest wage countries the wage was less than $2 an hour (even adjusted for the lower purchasing power in poor countries). Suppose that to induce people to move the US has to pay a 50 or even 100 percent premium over a person’s home country price adjusted wage. Then a wage of $4 would attract people from countries in the world, including large countries like Mexico, China, Brazil, India, Indonesia, the Philippines. This means the wage in the US overstates the true economic scarcity of a long-distance truck driver by at least 4.5 times. Innovations to develop a self-driving truck, to replace a long-distance truck driver with machines and computers and software, is wildly uneconomic at global prices. Figure 1 (from Clemens, Montenegro, and Pritchett 2016) is an estimate of the world supply of low to medium skill labor to the US, which is the wage of equal productivity workers in their home country (the lowest solid line) scaled up by a 50 percent (lower dashed line) or 100 percent wage premium (higher dashed line) to induce them to be willing to move to the US. This is compared to the average wage of those same productivity immigrants in the US. 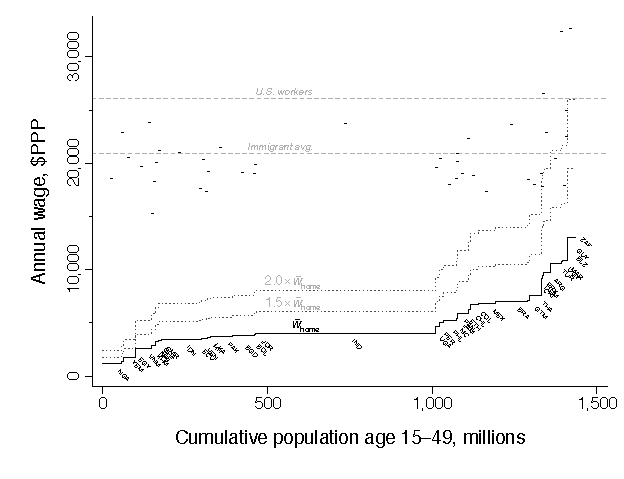 As a first approximation of the supply of labor there are a billion people aged 15-49 living in countries where the same skill/productivity of worker makes less than $5,000 dollars (again, corrected for the lower purchasing power in their home country, and these exact same people would make over $20,000 if they could work in the US. Amazon is looking to hire MIT engineers (the average salary for computer research scientists is $116,000 and MIT grads certainly make much more than average) to work on robotics to displace low skill workers in the US. This is, at least in part, because Amazon’s labor costs—including the difficulty of reliably filling jobs, turnover, wages, benefits, etc.—are high. But those labor costs overestimate the true economic scarcity of labor to the US economy by a factor of four due entirely to border based barriers to mobility of labor. It is not Luddite or anti-technology or anti-science to oppose biased and distorted technological change that is responding to distorted market forces. It is not good economics to be complacent and suggest that research to displace labor with machines in the US is efficient and to reply to concerns about job losses with the observation that this is just how market economies work. None of the usual economist platitudes or models about technology and job creation and destruction that use local prices apply in the face of massive distortions to global markets. It is an economically inefficient—not to mention inequitable—use of resources to use the world’s scarce technological and entrepreneurial talent to displace workers who are globally abundant. And, the technologies pioneered and developed in the US and Europe and Japan then blow back into poor countries. Automated pay-for-parking at airports, developed in rich countries to save labor costs at massively distorted prices, creeps into Uganda. As I recently flew home from giving a lecture about promoting economic growth in Tanzania I was confronted with automated check-in at the airport in Dar-Es-Salaam. Development economists are flying around the world to discuss and debate the challenge of creating jobs in the developing world. They will use automated check-in—both in the US and in developing countries. We cannot continue to ignore the obvious that technological progress is being driven in rich countries by distorted prices and availability of labor and is then inefficiently and uneconomically destroying jobs all over the world, making the dreams of billions around the world of escaping poverty and achieving prosperity through productive work harder and harder to achieve.